We believe that living a life you love begins with making choices that are loving, healthy, safe, considerate, kind, and mindful. We believe in treating others with respect and dignity. Finding fulfillment through service to our friends, our family, our neighbors and our community. We are privileged by our relationships and make an effort to build each other up in truth. We foster spiritual and emotional growth with those we love and those we’ve just met. We walk in audacious faith to act as living examples of Christ’s love and to share the gospel through our actions: worshipping and living in freedom, loving intentionally and acting with purpose. Family matters. In all of its forms. Sometimes we are related to our families, and sometimes we form connections with people that turn them from friends to family. Regardless of how they got there, our families have our back. Family forgives when grace is needed. Family speaks with love when truth is called for. Family builds us up, recognizing that when one person is stronger, we all are better for it. Family supports in the hard times and celebrates our wins. Family loves big, laughs hard, and shares joy. We know that “we” is better than “I”, any day of the week. We know that we are a team. No one stands alone or fights a battle without someone at their side. We’re better together. In all of our programs, we walk this out by hosting weekly family events where all are welcome. On the first Monday of every month, locals gather to eat, participate in group discussion and prepare their weekly budgets/planners with the assistance of their local advisors. The second Monday of the month, locals gather at one of San Antonio’s amazing restaurants to simply spend time together, laugh, and share a meal. Don’t worry, we’ll catch the bill. On the third Thursday of each month, locals have the option of attending a night of worship. Together, we praise God with contemporary music in a sensory sensitive environment. The last week of each month, Southwind Fields comes along side our partnered San Antonio nonprofits to serve the those they support and give back to the San Antonio community. As a part of an overall healthy lifestyle, we make a variety of options available to our locals to meet their physical, emotional, spiritual, and personal needs. In consideration for not only the earth we are blessed with, but for those who live around us, many of our locals choose to use all natural cleaning supplies, environmentally friendly paper goods, and non-toxic hygiene items. Additionally, some of our locals chose to utilize essential oils as a part of their health routines. These items are never, ever, "pushed” on a local and locals are never encouraged to use oils in place of their prescribed medications. 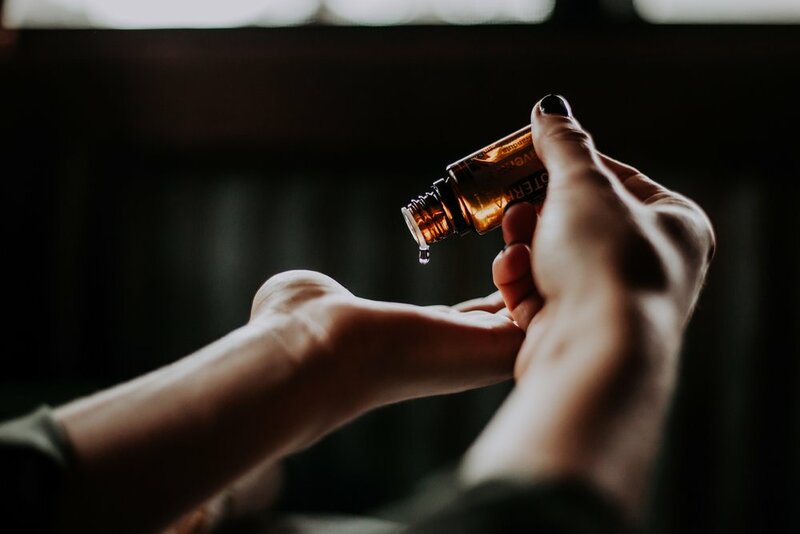 Essential oils are simply made available to them, at their request, through a variety of platforms to best suit their needs. In an effort to be conscientious examples to one another, many of our locals prefer to use all natural and environmentally friendly cleaning products. The products help to eliminate harsh odors in their homes that may cause discomfort for our locals who may have sensitivities or sensory disorders, or who are purposeful to remove toxins from their surroundings as a part of a therapeutic lifestyle. Southwind Fields staff keep these products on hand and available for purchase & delivery to our locals, at wholesale cost, with no additional fees and zero markups. We understand the impact that a healthy diet can have on our bodies. Fresh, non-processed foods can impact not only our bodies in general, but our mental clarity, our sleep cycles, our immune systems, and everything in between. Southwind programs are conveniently located near several farmers markets as well as easily-accessible neighborhood HEB’s. Locals are given instruction on shopping within their budget, preparing healthy meals, and are assisted, if they like, in locating locally sourced food products wherever they chose to shop. Many people find that the addition of essential oils to their health and beauty routines can be truly transformative. Oils are often used for bolstering healthy body systems and for supporting emotions related to ADHD, anxiety, and Autism Spectrum Disorders. Southwind Fields offers professional education, including parental education classes, on the use of essential oils. Additionally, we keep oils on stock and supply them to our locals, upon their request, at 30% off wholesale cost. Locals are not encouraged to replace their medications with oils, but rather to use in addition to, should they desire to do so.